Quilting? 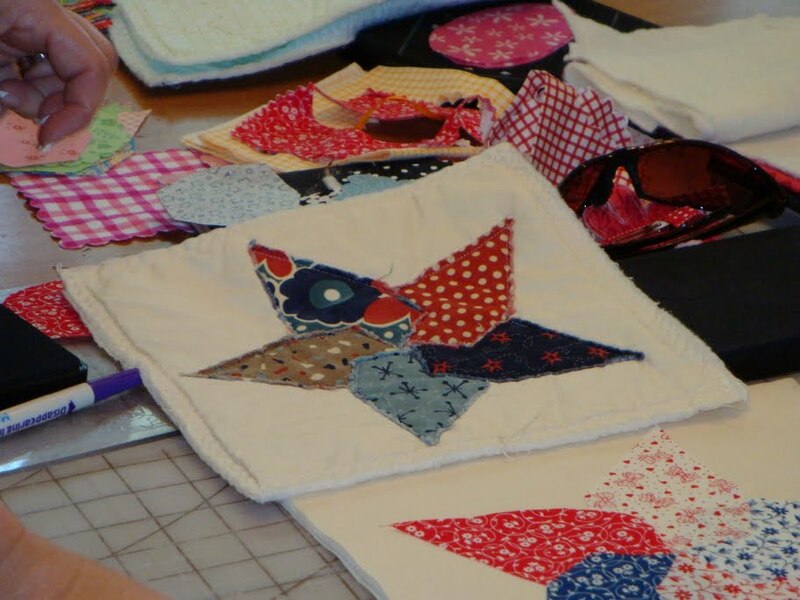 Yes, quilting! As I have mentioned before, the Big Shot Bigz Dies cut a wide variety of materials. One of the things it cuts is fabric. 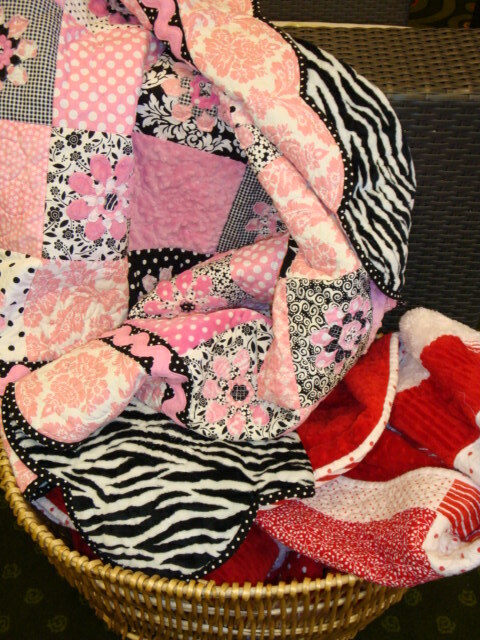 And what better to do with pieces of fabric then to make them into a quilt! At Stampin’ Up’s recent Founders Circle trip, the demonstrators there were treated to a view of Jill Olson’s amazing Big Shot Quilts. While I was not on the trip, the wonderful Stella MacKay was, and she has given me permission to share these pictures with you! 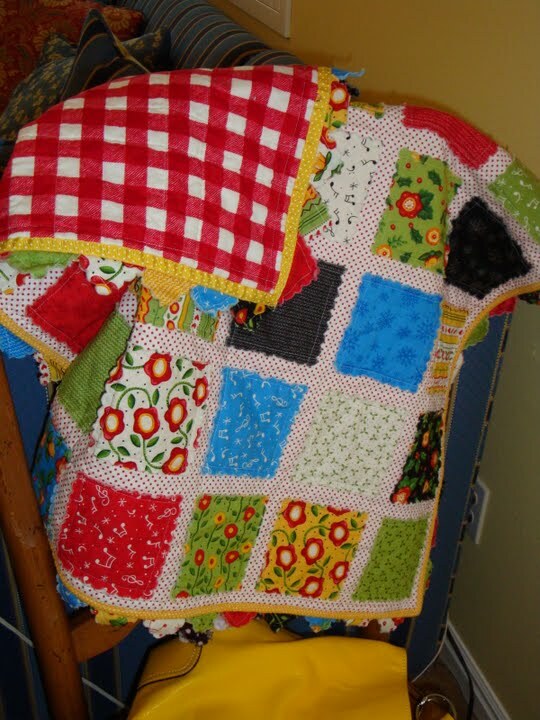 This first quilt appears to be made with pieces from the scallop square die. How beautiful are these? And think of the time quilters can save when they cut out the fabric with their Big Shots! This was made with the pieces from the 3D 5 pointed star die. This is made with the same die, but with the points turned in towards the middle. 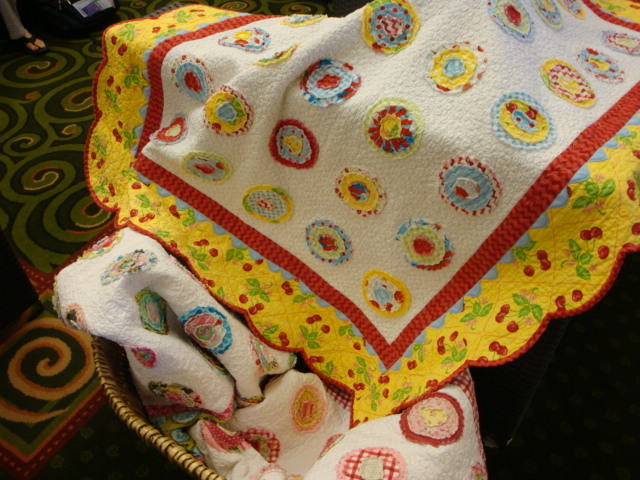 And one more beautiful quilt. If you would like to see the Big Shot in action, contact me! I’d love to set up a demonstration. Yapha, GREAT post!!! 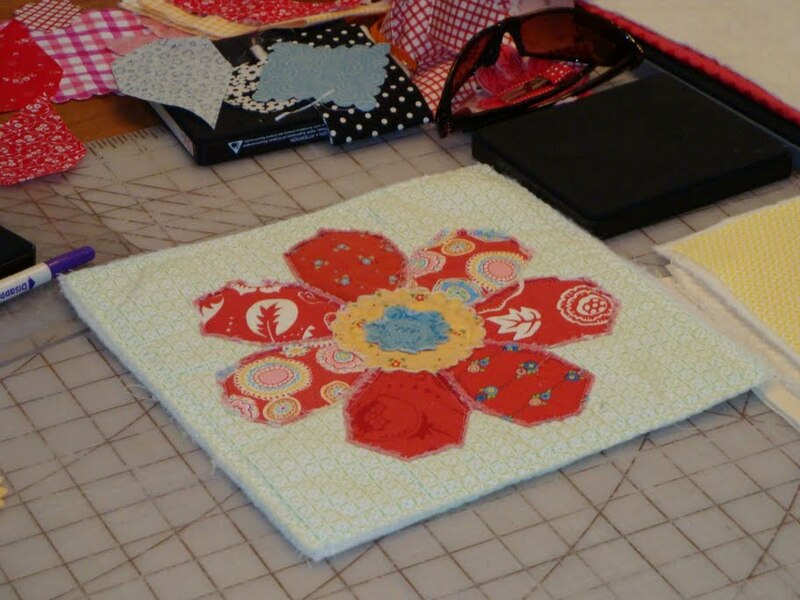 The quilting ability of the Big Shot is a wonderful addition to any quilter’s bag of tricks. To be able to cut beautifully rounded shapes or perfectly pointy stars has got to be a time saver! Jill is a true artist 🙂 Take care! 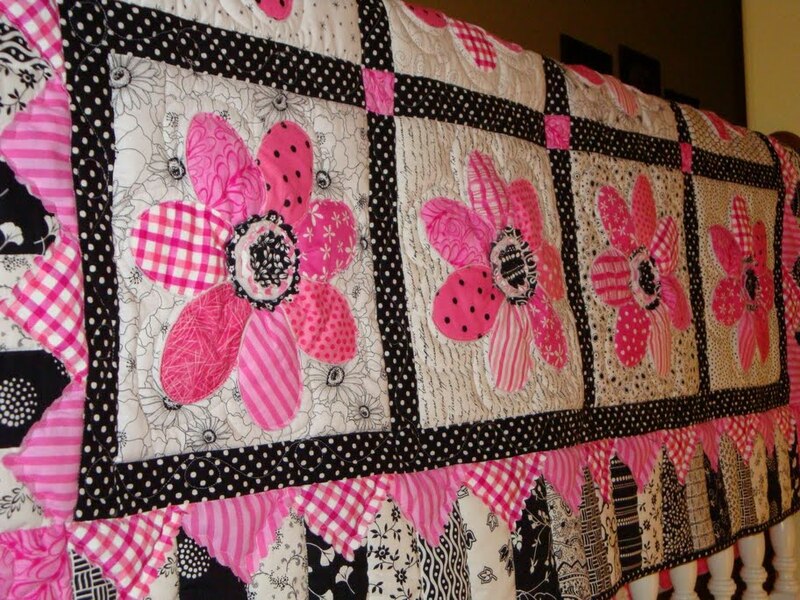 That flower quilt is GREAT! Is it done with a zigzag stitch?